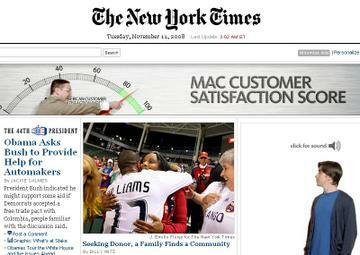 I really like this ad that just showed up on the front page of the New York Times this morning. An excellent play on customer satisfacton, and a nice tie-in with a long-standing Apple Ad campaign. 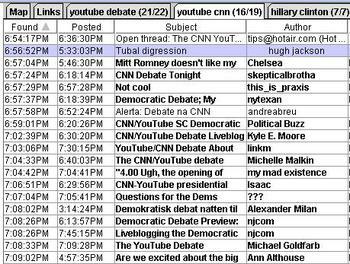 I also like to refer to this as CFM, or Consumer-Fortified Media, as its paid media that's typically reinforced by consumer comments, reviews, blog entries, and the like. We're written a great deal on this blog about Dove Evolution, one of the most celebrated examples of Consumer-Fortified Media (CFM) on the web. Here's round-two entitled "Onslaught." Hard not to engage to the finish. This blog will keep an eye on the conversation. Here's a sample of what folks are saying so far. Mattel vs Menu Foods: Is Video A Better Way to Show Empathy? At what point does "sight, sound, and motion" make a difference when trying to connect with consumers during a crisis? Well, let's start with everything we as marketers picked up in TV copy Training 101. TV ads work well because they drive or reinforce emotional connections; they enable "benefit" visualizations, and they typically have some form of dramatic effect you don't find in other forms of advertising. 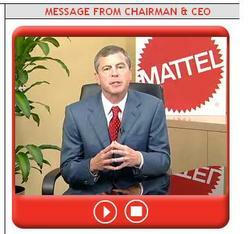 Which is a long way of saying that I think Mattel's use of online video featuring it's CEO reaching out to consumers on the toy recall issue is right on the mark. It works far better than a letter, a newspaper ad, a website button, or a downloadable PDF file (the curious, impossible-to-share format of choice in crisis management these days -- e.g. pet recall). Out of the Woods? This isn't to suggest Mattel is out of the woods, or even close. Indeed, the consumer fear factor around this issue, reflected in just about every form of CGM, is just warming up. My wife and I, parents of twins who reign over countless toys of every shape and size, were just talking up this issue yesterday. 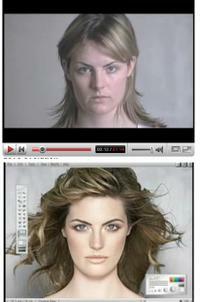 But the video works, and represents a smart first step. It connects emotionally, demonstrates empathy, and appeals to the highest "trust" figure in the organization. Here it's hard not to recall Jim Burke, CEO at Johnson & Johnson during the Tylenol crisis, who in an case-study codified interview (I watched it a dozen times my first year at Harvard Business School), used compassion, sincerity, and "I'd be upset too" empathy to address an impossibly difficult issue. In fact, many would argue that that poignant moment turned the corner for J&J. Even then, well before the online video age, no print ad could compare to seeing the eyes, and hearing the voice, of Burke talking about the issue. Mattel Vs Menu Foods: Now, compare this to the near lifeless approach of Menu Foods in addressing the recent pet food recall. Yes, there's were words of concern, even compassion, from the Menu Foods CEO, but the message is carried in words only. And you don't even feel like he's talking to everyday pet owners. The one document posted with CEO commentary on the matter reflects formal remarks at the "Menu Foods Annual Meeting." The content of the message is right -- "As pet owners ourselves, we have been saddened by the events of the last four months," he notes -- but you just wonder whether he'll get even 10% of the credit for those words given his choice of communication formats. At the end of the day, half the equation in crisis management or defensive branding is appearing real and accessible. Say Cheese: The Times Square "CGM Multiple" or "Echo Effect"
I've written a great deal in the past about the notions of "indirect product placement," and more recently, about the notion of "Consumer Fortified Media" (CGM). Both of these concepts are nicely captured in this morning's front page article in the New York Times. 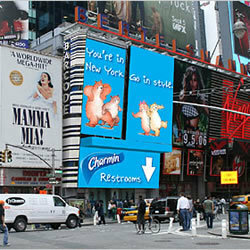 (Hottest Ad Space in Times Square May Be on Tourists' Cameras). The article captures how advertisers are getting an extra return -- I call this a "CGM multiple" -- from their advertisements showing up in camera and video phone imagery. 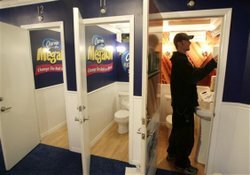 For example, the Charmin brand's portable bathrooms in Times Square scored an extra "CGM Multiple" through tourist discovery and image and video capture. Same could be said for the Hershey store. Heck, and impression is an impression, right? In this new consumer-controlled surveillance culture, brands constantly dot the backdrop of our environment. Branded experienced dot the backdrop of our blog narratives, and brand imagery dots the backdrop of everyday experiences captures through a growing host of "capture mechanisms," from digital cameras and camera phones to video-enabled PDAs. This presents both challenges and opportunities. For every great brand experience a consumer can readily capture, a bad one lurks around the corner. That's why, in this environment, it always pays to listen. Engagement: Yes, we have engagement...in a big way! Consumer-Fortified Media: It's not pure CGM, but CGM is what fortifies the content, and makes it meaningful. Hence, CFM. Audience Targeting: The core target, women, is talking up this ad...in a big way! Good news for the brand. Social Currency: Far from just available directly via YouTube, this ad is baked into thousands of other blogs, and acts as "social currency." Emotional Resonance: You don't see this very often with brand campaigns: intense, deep, and sincere. Google Juice: This campaign may well be the "gift that keeps on giving," and against a very wide search funnel. Internal/External Synergy: Great example of holistic integration of igniting external expression and facilitating internal expression on brand site. There's clearly a strain of counterculture in this ad campaign, and it's just too early to tell if there will be any side effects from this approach.